Musician Monty Fagan (Johnny Simmons) is going through a rough patch. He's a grown man who lives with his girlfriend in her mom's house. He wants to open a piano bar but suffers from an extreme case of insufficient funds. Things take an interesting turn when Monty gets the chance to fill in as the pianist in a swanky hotel bar, where he meets Olivia, an older, wealthy femme fatale with whom he begins a rather torrid affair. Olivia's presence gives Monty self-confidence, but he worries about becoming a kept man. 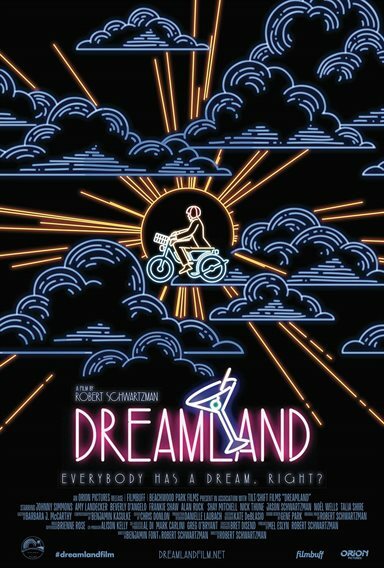 Download Dreamland in Digital HD from the iTunes store. Dreamland images are © Orion Pictures. All Rights Reserved.